During perhaps the most interesting years, when the seventies transitioned into the eighties, California cabernet sauvignon was evolving into a richly aromatic, yet round and elegantly structured style of wine. The models then were the older classics like Beaulieu’s Georges de Latour Private Reserve – invariably, everyone’s ideal – along with then-newer classics like Robert Mondavi’s Reserve, Ridge’s Monte Bello, and Stag’s Leap Wine Cellars’ Stag’s Leap District (the latter, fresh off its “victory” in Paris in 1976). At the turn of the eighties the cabernet sauvignons of Silver Oak, Joseph Phelps, Laurel Glen and Jordan were still fairly new “upstarts”; and our judgements of them, invariably mixed, but generally positive. We found that Chappellet, Freemark Abbey, Chateau Montelena, Sterling, and even the vaunted Heitz often rendered interesting, if aggravatingly inconsistent, cabernets inviting as much debate as dismay. On the other hand, Caymus’ Special Selection was already carving out its iconoclastic niche, Beringer was just beginning to get its act back together again, and Mayacamas typified a growing number of hillside growths appealing to those who didn’t mind inky black wines of gaudy girth, destined to never grow up (we knew that, even then). These times were particularly interesting for guys like me, making repeated trips to the West Coast to witness an industry undergoing dramatic change: most significantly, the steady cabernezation of Napa Valley (out with the chenin blanc, zinfandel, riesling, et al. 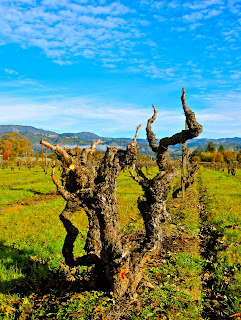 ), the transitioning of vines from the old California sprawl to incomparably more efficient vertical or horizontal shoot positions (in my mind, the single biggest factor effecting transitioning styles in the bottle), and everywhere you looked, the appearance of chardonnay, pinot, merlot, etc. in fields where only cow pies, orchards and woodlands once existed. But you know what I liked best about the years before and after the turn of the eighties? These were good days for working sommeliers because California cabernet sauvignons were still largely seen, and presented as, ideal “food wines” – full and rich enough to satisfy true-blue red wine lovers, yet soft and fruit-forward enough to drink with a wide range of dishes. Even when young – you could take home most newly minted ultra-premium cabernets and enjoy them guilt-free that night! In stark contrast, it was red Bordeaux that was criticized for being more of the wines that you collect rather than drink: hard, largely green and underripe, typically severe with tannin and even excess oak – very food-unfriendly, especially in youth. Indeed, these were rough times for many of the Bordeaux grand crus, just beginning to reassert themselves after a string of lean or tough vintages going back to the sixties, and the painful transition from a generation of neglectful proprietors, many of them still coasting on the region’s reputation (with little incentive to embrace viticultural and oenological advances). "A major problem," according to Parker, "is that everyone wants to make a 'food wine,'" which are "nothing more than lean, boring wines with little flavor interest or character." 1. With the obvious technological advances in the field and wineries, and increased plantings of blending grapes like merlot and cabernet franc (real work with malbec and petit verdot is still to come, to this day), there was no way that I could see California cabernet sauvignons becoming “bland” or “dull.” Where Parker saw weaker wines, I saw increasingly more complex, layered wines. 2. Of course, we could all see what Parker was about in the eighties: cabs that were “awesome,” boasting “gobs of fruit” and other exaggerated qualities. No wonder, I thought, he couldn’t see the evolving complexity: cabernets of the early eighties were getting too subtle for him! 3. Besides, who says the cabs of the seventies were so “great?” True, there were glimpses of greatness in unusually kind vintages, like 1970 and 1974; but during the rest of the decade, when Nature was not so forgiving to cabernet growers and their unruly plantings, most cabernets represented the flawed efforts of an industry still growing into itself: when not green or vegetal, cabs that were raisiny-ripe, fat or awkward; when not dull or washed-out cabs vinified by indifferent winemakers, cabs that were extracted to excess with palate numbing tannin and oak by over-reaching winemakers. To me, this was more typical of cabernets in the seventies: largely uneven quality, with only occasionally (or accidentally) something to write home about. Despite the myopia of Parker and his growing minions, California’s cabernets continued to improve just fine into the mid-eighties, thank you. Mondavis, BVs and Jordans became more Mondavi-like, BV-ish and Jordanesque (i.e. increasingly elegant, rather than heavy handed, in scale and proportion). Caymus SSs, Beringer Private Reserves and Phelps Insignias became even more emblematic of their respectively big, muscular yet poised styles; while cabs by Heitz, Freemark Abbey, Stag’s Leap and others continued to lurch between dirty/leathery bottlings and moments of either brighter or duller fruit definitions (in other words, dependent upon the shaky skills of their winemaking teams rather than deliberate stylistic choices). Meanwhile, by the mid-eighties, newcomers like Niebaum-Coppola’s Rubicon, Dominus, Groth, and Dunn began to heat up with wines making most cabernets from the seventies look puny by comparison; while others like Shafer, Opus One, Spottswoode, and Etude explored more elegant parameters, notwithstanding the clamor for high scoring behemoths. Point being: by the mid-eighties it was plain to see that cabernet sauvignon specialists were taking bold individualism to the next level; setting the table, as it were, for the onslaught of small production, over-the-top styles we would see throughout the following decade. With the increasingly crowded field, of course, came 100 point scores, which helped stoke interest in the steady proliferation of cabernets. But at what price? The big negative: pushed along by retailers (we restaurateurs never sold by numbers), consumers became conditioned to buy according to scores, rather than taking the time to develop their own taste. Who’s to say, for instance, that you might prefer a Honig over a Stag’s the same way you might enjoy a Dan Brown more than a James Joyce, Dumb & Dumber more than Citizen Kane, 50 Cent more than Charles Mingus, an In-N-Out burger more than a Capitol Grill bone-in… you would never know if you governed your life by what other people tell you rates a higher “score.” If anything, numerical scales have stunted the growth of at least a generation of wine enthusiasts. Thank goodness, almost all of us have been conditioned to appreciate fashion, films, books, food, music, cars, and virtually all other things involving as little as a pinch of aesthetic choice, without having to rely on the judgement of a few tastemakers, communicating by one set methodology. But when it comes to wines, I’m ashamed to say, most of us have been complete pansies, plain and simple; despite the simple fact that even moreso than other aesthetic interests, the appreciation of wine is highly individualistic, dependent as it is on sensory perception of sensations that are elusive at best, and often illusionist (i.e. perceived through power of suggestion). Then again, the inability of wine lovers to function as free thinking individuals hasn’t been the only casualty of Parkerization (and, I suppose just as much, Spectator-related symptoms). Numerical ratings may have “helped” consumers the way paint-by-numbers helps someone understand art, but the more literal price we have all had to pay has been the turning of limited production cabernet based reds into “cult” wines, appealing to the base needs of spendthrifts willing to shell out $100, $200, or over $300 a bottle for Screaming Eagle, Scarecrow, Dalla Valle, Bryant Family, Harlan, Colgin, Araujo, Leonetti, Quilceda Creek, et al. All beautifully sculpted wines, mind you; but sadly, priced in gross disproportion to their actual quality out of sheer demand generated by the mindless mania for numbers. But wait, as they say, there’s more. whatever happened to the notion of cabernet sauvignons that are just as suitable for food as for oohing and ahing? The irony, of course, is that the market today is still dominated by the same proportion of ubiquitous brands made in the lean, light style Parker was decrying twenty-five years ago. For every big winner, there are always at least twenty also-rans. But to me, lightness has never necessarily inferred food compatibility – like saying, every Democrat has a warm heart, or that all beautiful people are good in bed. If a cabernet is lean and boring by itself, it is usually lean and boring with dinner. But when cabernet sauvignon is good, it is not just rich and full of the concentrated, cassis-like berry and smoky oaked characteristics associated with the varietal, it automatically invites fun food matches by sheer nature of its intensity and balance. Why? Because it is always easier to match food with wines that are balanced with a plethora of fruit or flavor interest, rather than a whole lot of nothing. Case in point: in the late nineties, I once saw Madeleine Kamman (who for years presided over Beringer's School for American Chefs) whip up some breasts of chicken stuffed with green peppers, chicken sausage, and (of all things) pineapple, serving this in a cabernet shallot deglaze with a five year old Beringer Reserve. I had no idea how even tropical fruit, merged cunningly with bell peppers (a flavor element found in super powered cabs), could play up a young, boisterous cabernet's fruitiness while smoothing out its tannins, but it did... or in a recent parlance, wham! • It’s no relevation that cabernet sauvignon is basically a red meat wine (particularly lamb and beef, although venison and bison also fit the bill); although simply plopping protein on a plate is not enough, because there may be no tougher match for a young, tannin loaded cabernet than a lean cut of red meat (like filet mignon) cooked to a well-done dryness (like washing down shoe leather with black, bitter coffee). If you’re cooking for a full bodied cabernet, you need to give its tannin either fat or natural juices to sink its teeth in, or else other bitter compounds such as cracked peppercorns (all colors), mustard seeds or horse radish to help balance out, and smooth over, the drying, bitter taste of tannin. • The char of wood grilling can help balance both tannin and toasty oak qualities in aggressive cabs (smoked salts, or even subtle use of liquid smoke in mild marinades, may also work in this fashion). • A good idea is grilling or pan frying with scented herbs that mingle pleasingly as notes of similarity with the natural green herbal qualities (in cabernets, the methoxpyrazine referred to as IBMP, or 2-methoxy-3-isobutylpyrazine) underlying even the ripest bottlings; particularly, thyme, savory, sage, marjoram and rosemary. • The underlying IBMP of cabernets also identifies well with fresh mint, dill, olives, and bell peppers (all colors), while woody spices like nutmeg, mace, juniper and allspice mix well with cabernet spices tinged by oak aging. • Richly fruited cabernets also respond to sweet seeded fruits like plum, blackberry or cherry despite the residual sugar (one simple method: after cooking while allowing meats to rest, finishing pans with a splash of cabernet, the juice of dark fruits, some beef or veal stock and pads of butter). • For sautéing, the aromatic holy trinity of garlic, shallots and butter contrast effortlessly with cabernet flavors. • Excess sweetness in sauces and dressings (for gamy birds like squab, pigeon, duck or goose) will only accentuate tannins to dry, bitter effect; yet use of just moderately sweet fruit will highlight the berry complexities of more concentrated cabernets. • The simplest example of combinations of cabernet friendly components in a dish is a cheeseburger loaded with Cheddar (darker, firmer aged cheeses match the deep quality of cabernets better than young, sour, white or blue veined cheeses), roasted mild chiles (touches cabernet’s green notes), and ketchup augmented with Tabasco (another chile note) and rounded out (i.e. sharpness reduced) with mayonnaise and/or Thousand Island; and of course, at least 80% ground beef for suitable fat content. • Mildly bitter vegetables (especially when grilled) like eggplant, endive, Chinese broccoli, summer squash, and zucchini might round out cabernet sauvignon on a plate and in the palate; while green beans, peas, celery root, spinach, fennel, and other herbal nuanced vegetables can play off a cabernet’s herbaceousness. • If you’re incorporating mushrooms, use the “wild” varieties; preferably darker, stronger, earthy, meaty mushrooms (like morel, shiitake, porcini or portobello) that are friendlier to full bodied reds like cabernet sauvignon (avoid truffles, except when cooking for the most mature cabernet based reds – at least, fifteen, twenty years old – that have developed organic aromas). • As with the biggest of white wines, chardonnay, you can only ask cabernet sauvignon to go so far with foods that incorporate sensations that are pointedly sweet (as in Port or Madeira sauces, or Asian style syrups), sour (use of sharp vinegars or goat cheese), hot (not just excess chili seasonings, but also heavy-handed garlic and ginger root), or salty (soy sauce and blue cheese) – cabernet is not your ideal Asian or tropical “fusion” wine! • Finally, if a cabernet is especially young, heavy, and laden with oak and tannin, unrestrained use of butter or cream (like, say, blending a pint of sour cream into a sauce) might skew the match towards bitterness; the same thing for slow roasted meats (especially if sweetened by carrots and onions) that develop caramelized sugars, making a tannic cabernet taste harder and dryer. • The older the wine (fifteen or more years for West Coast cabernet sauvignons, twenty or more years for reds like Médoc crus), the more subtle, and umami-clever, your use of cabernet food components need to be. By no means has the evolution of California cabernet, especially in Napa Valley, been one gloriously straight, ascending line. Trellising and canopy management helped open up vines, reduce herbaceousness, and highlight sweet fruit components in the cabernets of the eighties, but it took more replanting in the nineties (initially in response to the influx of phylloxera) to lick other persistent issues, like over-ripeness (leading to soaring alcohol, flabby textures and pruny flavors) and harsh, uncontrolled tannin – problems, in retrospect, that were not atypical of even the ballyhooed cult cabs of the nineties. Further shoot positioning, shoot and leaf thinning, cover cropping, micro-managed deficit irrigation, more sustainable soil management, rethinking crop loads, and redirecting of entire rows and vine spacing have all been part of the work that has brought today’s cabernets into finer balance, with rounder mouthfeels and more focused varietal definition. For me, Mia Klein’s Selenes have emerged as paragons of power and saturated fruit sumptuousness, while by no means timid in color, tannin or oak – everything draped in dense, velvet robes. Klein, of course, has left similar marks on several vintages of Dalla Valle (even the cabernet franc dominated Maya, every bit as explosive as pure cabernet sauvignons), Araujo and Viader during her career as a consulting winemaker: a track record of wines that put seamless textural feel above all other qualities, without sacrificing one iota of intensity and generosity. Interestingly enough, on more subdued levels I’ve found that Cathy Corison’s Corison cabernets have shared similar qualities; but perhaps even moreso, you’ll find the same magnificently deep, round, fleshy characteristics in the cabernets of Neyers, crafted for many years by Ehren Jordan (Neyers’ Conn Valley âme, for instance, is an essence of liquefied velvet). So what do I do with a cabernet like Selene (or for that matter, a Corison’s or Neyers’)? Because it’s one of the rare ultra-cabs that tucks its tannin beneath its textured fruit, it’s one of the few that does well with leaner cuts of beef (especially pillowy tenderloins) sauced in cabernet tinged demi-glace. You could settle for that, or infuse the sauce with a purée of roasted sweet red peppers to beef up the varietal character. But if you really want to take a chance, pan sear the tenderloin with thyme, deglazing with cabernet, demi-glace and, instead of butter, pads of a triple crème like Explorateur or St. André in order to juxtapose green herby notes with a creamy texture, reflecting the sumptuousness of the wine. The beauty of Beaulieu Private Reserve stretching from the sixties through the nineties (the vintages I’m familiar with) was its commitment to a sort of an elegant composure: concentrations of blackcurrant fruit kept lush and velvety instead of tough and tannic, dense and muscular rather than fat and soft, and rich and compact as opposed to big and blustery. Well, we might have to enjoy just the memories of that now, since a tastings of recent vintages of BVs seem to signal a subtle yet significant movement towards a bigger, more opulently fruited, vigorously tannic, generously oaked style more in tune with contemporaries, perhaps reflective of the inevitabilities of corporate ownership (the winery now run as part of the spirits conglomerate, Diageo). Or, we can turn to the judiciously crafted coterie of cabernets now being culled from Mark Neal’s meticulously cultivated CCOF certified organic vineyards in Rutherford, Howell Mountain, Mount Veeder and Atlas Peak. While aromatically and structurally representative of their respective AVAs, Neal style cabernets share common traits of seamless, smoothed textures, and noses that emphasize sweet, organic notes of the varietal fruit above other qualities. From Rutherford, for instance, Neal’s Wykoff Vineyard bottlings are strikingly graceful – moderate in weight, and seductively forward in shriveled blackcurrant, cassis-like perfumes… recalling Andre Tchelistcheff’s analogies of dark Russian princesses in long, black, soft leather gloves. From an east-facing slope going up Howell Mountain, Neal’s Fifteen-Forty flashes a workout devotee’s sinewy bicep, yet sensuously curved, sweet blackberry sensations embedded in glycerol and nuanced smokiness. From a much rockier hillside site, the Neal Second Chance Vineyard is a fully endowed, masculine package of mint, blackberry, bell pepper, herbal tea, steely acid and gripping tannin, yet still chiseled to an exacting, marbly smooth finish. Who else is fashioning such distinctly delineated cabernets? Not too many, since today’s prevalent style is towards denser “wall of flavors” -- as if everyone wants a Phil Spectorized wine that can shout it from the mountain or from rivers deep. However, Quintessa seems to at least strive towards that velvety, moderately weighted, BV inspired style, albeit in the chocolate-covered-blueberry guise unique to its hilly Rutherford estate. By virtue of its own steep site, Viader has established a strong record of cabernet sauvignon dominated blends, typically made up of violets and chocolaty cherries wrapped in silk and tied in leather stringed tannin. I’ve recently enjoyed an ’05 Gamble Family Home cabernet sauvignon that displayed a fairly even keeled array of cassis, blackberry, green pepper, mint and dusty olive qualities, and an ’05 Honig Mitchell Vineyard that came layered with framboise and mint, proffered on a throne of tannin with taut velvet upholstering. Otherwise, I’m scratching my head, wondering where the compositional approach has gone; especially since these are the cabernets that are perhaps the most versatile on the table. If you like an herbed (i.e. herbes de Provence) or pepper crusted tuna steak, for instance, a Neal Family cabernet is round and fleshy enough to enhance rather than obliterate it; especially if finished with, say, a deglaze of cabernet, green peppercorns, veal stock and butter. Ditto for wok charred strips of beef with peppers, onions, meaty mushrooms, beef stock, and smidgens of soy and cabernet – it has to be an elegantly rounded wine to match this unfussy yet cab-friendly meal. Otherwise, the mint and pepper notes of these rich yet soft edged wines are naturals for the most natural cabernet sauvignon match of all: mildly gamy lamb -- like chops rolling in a hot buttery pan with green herbs like rosemary, or else finished with juicy plums or berries. Oh, and... please pass the mint jelly. I’m singling out this brand among the tangle of new fangled Napa Valley cabernet sauvignon producers of recent years not because it’s destined for greatness – the winery’s stated goal of producing soft, immediate drinking styles of cabernet will never earn it “monumental” scores – but because its wines represent the high toned, lusciously sweet, almost zinfandelish abundance of fruit qualities a Napa grown cabernet can attain, given the vineyard technology of today. This is as opposed to just ten, twenty or thirty years ago, when a soft, drinking style of cabernet meant something either dull or bland (i.e. the Christian Brothers, Charles Krug and Louis Martini cabs of olde) or pungently bell pepper-green (you may associate this with big production regions like Chile, but it’s been just as common a theme in ubiquitous California brands like Simi, Carmenet, Estancia, and Robert Mondavi). 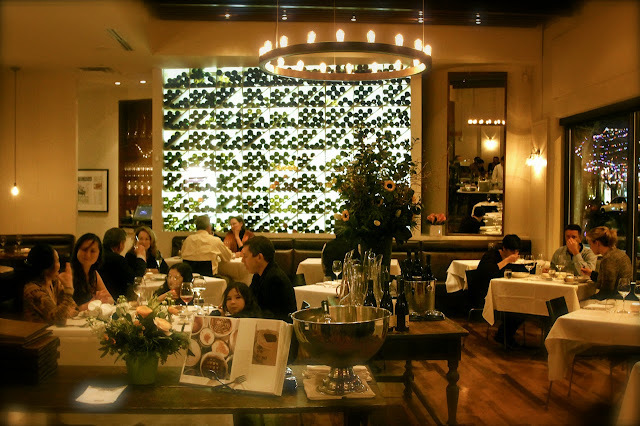 The wines of Levendi, owned by an Orange County partnership, are the product of Alison Doran, whom longtime California wine lovers will remember as Alison Green, the former André Tchelistcheff protégé (in the seventies at Simi with Mary Ann Graff, and then at Firestone in Santa Barbara). Doran does craft full sized single vineyard bottlings built upon strong firmaments of tannin; but like her blends (particularly Levendi’s Symphonia), even the Levendi Sweetwater Ranch (100% cabernet sauvignon from a 1,000 foot-plus hillside on the eastern side of Oakville) is characterized primarily by an effusive nose and fruit forward mouthfeel suggesting mixtures of wild cherry, blueberry jam, blackberry or cassis, and sweet, leafy chocolate mint. What’s the big deal? For food purposes, I’ve found that it’s cabernets like these that are big enough to handle leaner, chewy, voluminous meats like venison and bison, yet sweet toned enough to balance the aggressive preparations common to these meats – like mildly sweet marinades, fruit compotes, or hard spices like juniper and clove. Sure, such wines are performing the same culinary roles that big zinfandels, or syrahs and petite sirahs, easily fill, but are usually destructive when involving cabernet’s usual hard edged tannin. But if you enjoy sweetly marinated red blooded game, but prefer the minty, cassis-like character of cabernet sauvignon – well, here’s your wine. For well past thirty years, of course, the cabernet sauvignons that epitomized fruit forward intensity have been those of Silver Oak; and while as popular as ever, the winery’s continued devotion to pungent, extended American oak regimes are bound to keep its appeal decidedly within its own niche. A similar “drinking” style of Napa Valley cabernet sauvignon, sweetened by generous doses of French oak, are those of Cakebread Cellars, which dial up upbeat, sweet toned flavors well above fine-grained tannins (even their Howell Mountain grown Dancing Bear Ranch tends to favor spiced plum and dried fig fruitiness over structural strength). And from further south in Paso Robles, Justin Isosceles has garnered a strong following with its tautly balanced yet lush, liquid, fruit bomb style of cabernet sauvignon driven blends. On the even more serious side, the newly resurrected Ghost Block Estate (owned by Bonded Winery Number 9, in Oakville across Hwy. 29 from Mondavi) offers similar sensations of distinguishably sweet mint amidst whole bushels of berries. The voluminous, densely structured cabernets of Rudd Winery are usually just as precocious in Christmas pie-like varietal fruitiness. The cultish Peju Reserve is no girly-mahn, yet its profile is appealingly fruit forward, going for lavish opulence while maximizing rounded mouthfeels. Nothing wrong with any of that, especially if you have a penchant for wildly flavorful meats that are enhanced by fruit sensations in the wine as much as dish. Rob Sinskey affectionately dubbed his top-of-the-line blend (merlot/cabernet sauvignon/cabernet franc) Marcien – French for “from Mars” (or, “you must be crazy”). Sinskey says he calls it Marcien because when the winery first planted Bordeaux grapes in Carneros (a cold region with shallow clay soils rather than the deep gravel and moderate climate associated with Bordeaux), some people said they were nuts. Needless to say, everyone loves that crazy guy with the dirty coat who finally gets the girl. Investing Carneros real estate to Bordeaux varieties may have been certifiable, but there’s nothing weird about a Bordeaux inspired blend except for the fact that Sinskey’s effort is genuinely deep and delicious – fulfilling the promise of that dubiously named concept, Meritage™. Although I find most California Meritage™ reds as exciting as five hours of bad Italian opera, in the Marcien there is a truly dramatic melding of contrasting varietal characteristics: beginning with a merlot base that is properly plush and plump, knit to the black, wild, plummy, licorice, gnarly tobacco and smoky room qualities associated with the cabernet grapes. The good news is that Sinskey is not the only one finally making something out of this style of assemblage. Napa Valley’s John Skupny, who has been perfecting the art of cabernet franc during the past decade with his Lang & Reed Premier Étage, has recently come out with a new animal called Right Bank (53% cabernet franc/30% merlot/9% petit verdot/8% cabernet franc) which, for all the world, is one of the few wines outside of Saint-Émilion that recalls a graceful Canon-la-Gaffelière, or a wildly tender La Mondotte – gathering black cherry, blackcurrant and crushed mint into a perfectly round yet densely woven potable. Meanwhile, well under the radar, on the other side of the Petrified Forest in Alexander Valley, Dave Ready Jr. has been engineering Bordeaux style blends at Murphy-Goode Winery with almost ridiculous ease; including a bright, silken, Pomerol-ish Wild Card Claret (53% merlot, with cabernet sauvignon, cabernet franc and petit verdot), plus an even richer All In Claret (58% cabernet sauvignon asserting blackberry and framboise concentration, riding on velvet qualities of merlot and compact, steely underpinnings of petit verdot). But of course, since the Murphy-Goodes are from Sonoma, they are but naïve domestic blends, amusing in their presumptuousness. 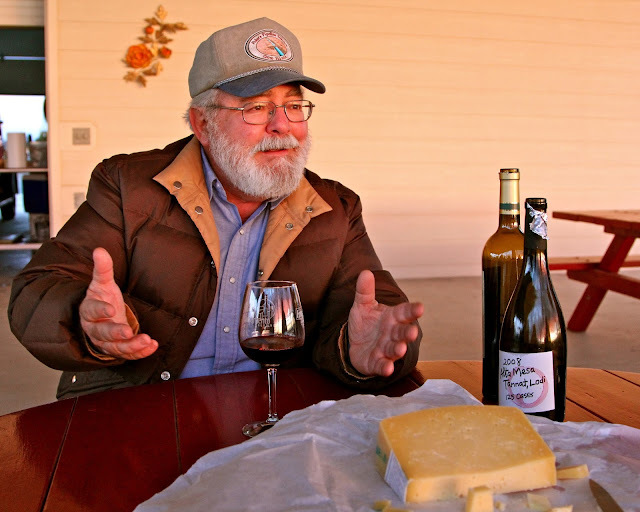 As proprietary blends go, anyone would be remiss not to remark on the Napa Valley classics; such as laudable consistency of the fabled Joseph Phelps Insignia – a winemaker’s chef d’oeuvre, if there ever was one. But in accordance with the original conception, a Bordeaux style blend should be more of a meditation on a single estate, rather than a representation of a winery’s wealth of varied vineyard sources. In that respect, I’m compelled to mention the remarkably deep, broad, magnificently sculpted series of wines fashioned by Pamela Starr as Crocker & Starr Stone Place (in recent vintages, predominantly cabernet sauvignon) from the heart of the Crocker Estate in St. Helena. In my mind, Stone Place sits right up there with Dalla Valle Maya (with its notably large proportions of cabernet franc), the rarified Araujo Eisele, Christian Moueix’s Dominus Estate, and the increasingly more ferocious (at least in recent vintages) Rubicon Estate. In any case, the aforementioned five appear to be the most serious of the Napa Valley growths planted to Bordeaux grapes today. Intricate wines might call for intricate dishes, but we can’t all be Julie and spend six hours laboring over a Julia Child recipe. Rob Sinskey happened to marry an extremely talented chef named Maria Helm (formerly of San Francisco’s Plumpjack Café), who’s smartly tailored this cook-ahead recipe for braised veal shanks with olives and bay leaves to take full advantage of the way a round, viscously textured Bordeaux style blend coalesces with the gelatinous richness achieved in slow cooked meat. In fact, any variation of classic osso buco that dispenses with heavy use of tomato (but instead, focusing on natural reductions infused with cabernet friendly herbs like dill or thyme) would work in the same way. History, of course, has shown that Napa Valley can very well produce much more top quality cabernet sauvignon; but perhaps because I was weaned on BV Private Reserves, I still found myself picking those BVs “first” in blind tastings, even as recently as the ’99 vintage. So, for me at least, Tchelistcheff has always been correct. Which is why Tres Sabores, a tiny (12 acres) Rutherford estate, begs discussion. As a vigneron, Tres Sabores’ Julie Johnson doesn’t have that legendary cabernet éclat associated with Tchelistcheff, Tony Soter, or even Mia Klein. The name Johnson doesn’t have the golden glow of an Abreu or Melka, nor even the making-of-a-cult moniker of a Celia Masyczek. What she does do is generate a cabernet sauvignon that is dry farmed on her home at the western edge of Rutherford – wooded and beset with wildlife – where everything that lives and breathes is an extension of Johnson’s sustainable (and CCOF certified) outlook. The result is a cabernet sauvignon that is as powerful as any, but with a natural, organically defined length, balance and buoyancy: dusty blackberry and dried plum aromas tinged with cedar and rose petal/star anise-like spice; the body, medium-full (not gigantic), dense, chocolaty rich on the palate, with the plush velvet (or what Johnson calls, “scarlet carpet”) rolling-pinning over the muscular tannins, as the wild fruit flavors shoot into a tubular finish. Diving further in, it’s that sense of restraint that ends up extending the wine over the palate, and the sweet plum and almost Chinese-y spice, that identifies the Perspective as a classic Rutherford style (as opposed to that of, say, Oakville, or any of valley’s hillside AVAs) of cabernet sauvignon. It’s also probably the slightly wild, bucolic edge that specifically makes it tres Tres Sabores, rather than To-Kalon, BV #2, Napanook or Eisele: if this were France, the word terroir would be the first thing out of your mouth. That’s what I see as a present and future of California cabernet sauvignon: wines issuing forth not so much qualities of the grape, or the halo of a numerically blessed winemaker, but rather that sense of place Californians always say they’re looking for, but usually don’t bother trying to find because they figure you aren’t interested. Advisory: best to do this dish in three stages, starting with the pig’s feet, as they need to soak overnight. The next day, make the gnocchi and set them aside. Then bring it on home with the chanterelle laced ragout. Remove pig’s feet from the water and pat dry. Season with salt and pepper. Brown thoroughly in ½ the canola oil and remove to a baking dish. Preheat oven to 300 F. Sweat the onion and carrot in the remaining canola oil. Add the wine and reduce by half. Add the chicken stock and bring to a boil. Pour the chicken stock mixture over the pig’s feet. Cover with foil and bake about 3 hours, or until the meat starts to fall away from the bone. Remove the pig’s feet from the liquid. Strain and degrease liquid. Pick the meat off the pig’s feet (you should get about ¾ cup of meat). Return the meat to the liquid and refrigerate. Heat oven to 350 F. Spread about 1-3/4 cups kosher salt on a small baking sheet. Place the potatoes on top of the salt. Bake about 2 hours, or until the potatoes are soft and cooked through. Meanwhile, in a mixing bowl, whisk 2 cups of the flour with 2 teaspoons salt, the pepper and the nutmeg. Bring a large pot of water to a boil. Place a wire pasta basket in the water, and add about 4 tablespoons of salt to the boiling water. Cover the pot until ready to use. Working while the potatoes are still hot, peel them with a paring knife (holding the potato in a kitchen towel makes this a little easier.). Using a food mill with a fine disc or a potato ricer, pass the potato onto a work surface that is at least 2 feet wide by 2 feet deep (wood and marble are the best for this). Make a well in the potato and break 4 eggs into the well. Place the mixture in a circle surrounding the potato mixture. With a fork, whisk the eggs together. Using a bench scraper, cut the egg mixture into the potato and flour and gentle knead the mixture until it comes together. Using a little additional flour, knead the mixture an additional 20 seconds. Cut off a few ounces of the gnocchi dough with the bench scraper and with lightly floured hands roll into a rope about 12" long and 1/2" around. Cut off into equal sized pieces about 1/2 square, pinching each piece at the same time. Roll each gnocchi off a floured gnocchi board (or the back of a fork), and using an offset spatula carefully transfer to a floured baking sheet. Cook the gnocchi in several batches: using the spatula, carefully lower the gnocchi into the boiling water and cover. When the water comes back up to a boil, cook the gnocchi about 2 minutes, until they puff slightly, and immediately shock in ice water. Repeat the process for the remaining gnocchi. Drain the gnocchi well (make sure they are completely cool in the center before you remove them from the ice water). Place the olive oil in a mixing bowl, toss the gnocchi in the oil, then transfer to baking dish (they should be in a single layer), cover, and refrigerate until ready to use. In a large sauté pan, heat half the olive oil to smoking and add the chanterelles. Toss well and add half the butter. Cook until lightly caramelized. Season with salt and pepper and add the shallots. Sweat 30 seconds. Add the sherry and reduce until thick. Add the pig’s broth and meat and reduce by half. Check for seasoning and set aside. To assemble dish: In another large sauté pan, heat the remaining olive oil. Brown the gnocchi on one side, in batches when necessary. Add the pig’s feet ragout and bring to boil. Whisk in the remaining butter. Garnish with grated Parmigiano and parsley, and serve immediately. Very efficiently written information. It will be valuable to everyone who uses it, including myself. Thanks a lot.Mortgage broker in PeelIf you're looking for commercial property and require financing, our team can help! Thank you so much for taking the time for you personally to share such a nice info. I definitely enjoying every little bit of it. It is a great website and nice share. We are Beyond Broking, a Perth based boutique Best mortgage deals Australian's obtain loans for some of life's biggest purchases. I think mimicking popular posts on other blogs is one of the best ways to get a good idea which will be popular.Such a lovely blog you have shared here with us. Really nice . Thanks for sharing here with us. Comprehensive Online reputation management and alerts from rep armor. in today's always-connected world, that's more important than ever. Now with online reputation management and repair. Okay you are true, YouTube is best video distribution site, as YouTube is a lightly no much streaming time rather than other web sites. this post will be enough Just about everything looks astounding demonstrated a guarantee of appreciation is all together to share. Its my predetermination to visit at this online journal and discover my required section alongside video demo, that is YouTube video and its additionally in quality. My manager is too sharp of YouTube comic motion pictures, he additionally watch these even in work environment hehehe. I read this post totally concerning the distinction of most recent and past advancements, it's amazing article. It's amazing to your sympathetic wife that's prepared to keep up your falter morale every time in your life! You do have such an interesting blog. Thank you! It's extraordinary to go over an online journal now and then that isn't the same outdated repeated material. Awesome read! I need to voice my energy for your consideration offering backing to those individuals that ought to have direction on this essential matter. Your post is truly giving exceptional information.. I bolstered it and got a kick out of gratefulness it. Keep sharing such crucial posts.Oh incredible! I was thinking about whether this would be understandable, so thank you for the info. We hadn't considered the arranging, however that is superb! Quality substance is the best approach to welcome the customers to go to see the website page, that is the thing that this webpage is giving. Do you have any video of that? I'd warmth to find some additional information. What does it take to become – like Frasca Food and Wine in Boulder, CO – a #1 restaurant in the eyes of both critics across the country and your surrounding community?This past January 2015 I took two sommeliers, three executive chefs, and four general managers employed by the TAG restaurant group in Denver to Frasca for dinner.Our mission:to get a feel for what makes a restaurant like Frasca work.